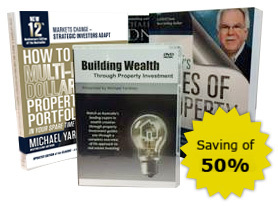 You get three top selling books, plus DVD and CDs all in one bundle. Since the first edition was written in 2006, Australia’s property markets have changed dramatically. Our changing economic conditions, lending criteria, interest rates and property markets meant that some of the original strategies, techniques and ideas had to be updated. Now boasting a number of new chapters, many up dated sections and up to date statistics mean that the new 6th edition of this property investment classic book will be a valuable resource for both the beginner and experienced property investors for the foreseeable future. When first published, this book became a BEST SELLER in less than 3 months and is highly acclaimed by readers. It is written both for beginners as well as advanced property investors and explains how the stage is set for another great property boom. This is supported by strong demographic evidence that also highlights our next major growth regions. The author details the most important things investors must know to take advantage of the next property boom. and an extraordinary section on living off the increasing equity of your Multi Million Dollar Property Portfolio. Beginning property investors who want to fast track their success by understanding what successful property investors do. Experienced investors who feel stuck and want to take their property investing to the next level. Professional property investors who want to revisit the basics as well as learn some distinctions from Australia’s leading expert in wealth creation through property. 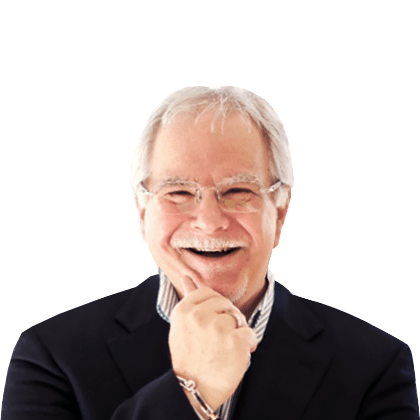 Michael Yardney, who is Australia’s leading expert in wealth creation through property shares decades of experience and explains the “Rules of Property” to help you grow a successful property portfolio. This is a plain and simple guide to property that reveals how property investment is not about luck, and how you can begin building a multi-million dollar property portfolio. Most property investors do not build a profitable portfolio, because they don’t understand “the rules of property.” This book is designed to help you understand these rules and level the playing field against other seasoned investors. Readers will be shown the “rules of property” and what successful property investors do in order to build successful property portfolios. Fact is: most Australians don’t enjoy financial security in their retirement years because they were never taught. 2 DVD set – almost 4 hours. Whether you’re a beginner or an experienced property investor – this new DVD program will answer your questions about building wealth through property investment in our changing finance, economic and property markets. Watch as Michael Yardney gives you his insights gleaned from over 37 years in property. He has successfully invested in and traded through 5 property cycles and has probably educated more successful Australian property investors than anyone else. What’s in store for our economy and how the world’s economic woes will impact on our finance and property markets. Some of the biggest mistakes investors make that stop and how to avoid them. Lessons learned from past property cycles so you can exploit the opportunities our current property market presents. The type of research Michael undertakes to outperform the markets. The what, where and when of choosing a top performing property investment – one that outperforms the market. The fundamental drivers of property price movements. How the professionals manufacture capital growth through property renovations and property development. How to overcome the fear of debt by understanding how the wealthy use debt differently to the average Australian. In this interview Michael Yardney gives his insights into how to take advantage of the current property market.